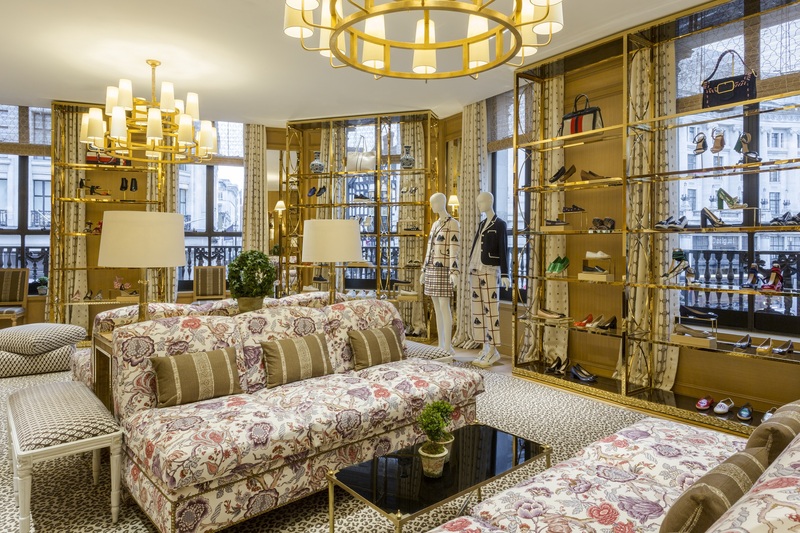 In a significant step towards growing its presence in London, Tory Burch has opened on Regent Street, a storied thoroughfare in the heart of the city’s bustling West End. Situated on the corner of Maddox Street, the 3,200-square-foot retail space complements the brand’s two boutiques in the capital and further expands its footprint in Europe. The Georgian-style façade features three large ground-floor windows that fill the open space with light. With travertine floors, oak panel walls and a screen showing seasonal videos, the interior is clean and modern, reflecting Tory Burch’s new store-design concept. As a nod to the brand’s heritage, special pieces add texture throughout—from a Moroccan armoire inlaid with mother of pearl to a fretwork balustrade with an unpolished brass handle and a rope and gold-leaf chandelier that blends the raw and refined. A simplified palette is paired with an eclectic mix of furnishings on the second floor, which is anchored by a leopard rug, brass étagères and cane tables. Antique blue-and-white vases that were made into lamps and banquettes covered in an exquisite floral inspired by Tory’s home in the West Indies pop against the neutral backdrop, while mocha-striped drapes and bamboo blinds frame an incredible view of the neighbourhood’s distinct architecture. 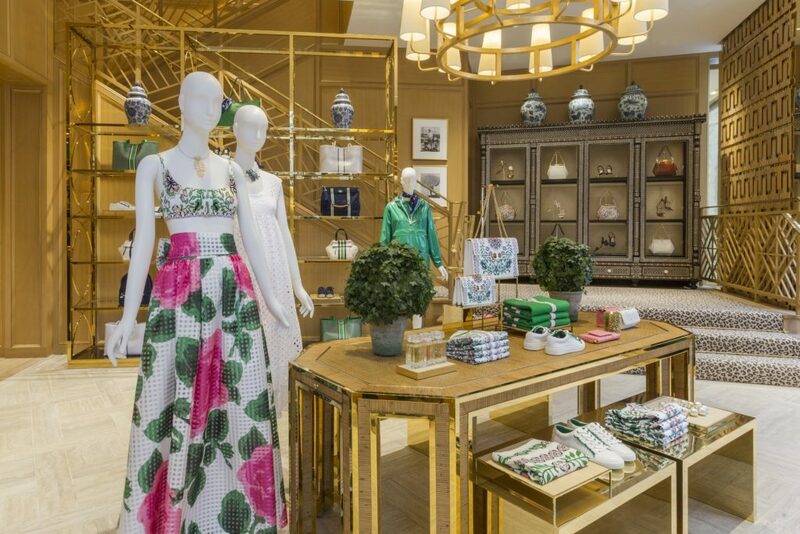 The full Tory Burch collection will be available at the Regent Street boutique, including ready-to-wear, handbags, shoes, eyewear, watches, accessories, beauty and home. The Regent Street boutique builds on the momentum of the nearby New Bond Street flagship, which launched in 2010, as well as the accessory-only store concept at Westfield, which opened last year. It also helps to anchor the brand’s presence in Europe, where it has 11 retail locations. This entry was posted in Latest News, Lifestyle and tagged london, new york, nyfw, Regents Street, Store Opening, Tory Burch. Bookmark the permalink.